1984 – Joe Lam, Lawrence Lee & Wing Lee launched L3 Advertising, the first Asian American advertising agency in the U.S. to develop and execute marketing campaigns for Fortune 500 companies. 1986 – 1990 News stories about L3 Advertising’s pioneering work featured in the NY Times, Crain’s Business, Advertising Age, Business Week, Marketing Week and Adweek. 1987 – L3 Advertising is profiled in Newsweek in a feature about the blossoming Asian American consumer market. 1990 – L3 Advertising opens its Los Angeles office and becomes the first and only Asian American ad agency with offices on both coasts, serving clients such as Remy, MetLife, MCI, Bank of America, Pacific Bell and Mervyn’s department stores. 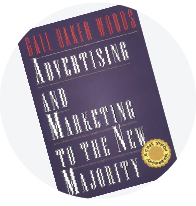 1994 – The book, Advertising and Marketing to the New Majority is published, co-edited by Joe Lam. The book becomes a standard textbook for college marketing classes around the country. 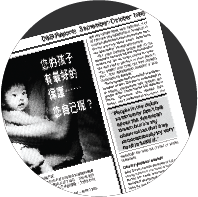 1996 – L3 Advertising launches Asian Perspective, the first market research firm dedicated to helping advertisers understand and learn about the rapidly developing Asian American consumer market. Asian Perspective quickly becomes a major resource and force within the industry. 1999 – L3 Advertising became one of the founding agencies of the AAAF (Asian American Advertising Federation) that helped to organize and create a sense of recognition for this rapidly growing market. Joe Lam served as one of the founding board of directors. 2000 – L3 Advertising founded 1947 Communications, the first U.S. ad agency focused specifically on the upscale and rapidly growing South Asian/Indian consumer market. 2001– L3 Advertising becomes a founding member of the S/R Communications Alliance, the industry’s first network of 12 minority-owned marketing companies allied together to share resources,expertise and common client opportunities. 2003 – L3 Advertising launches L3G, an exclusive joint venture with the Chinese government and the Chinese Postal Authority to develop direct mail and outdoor advertising opportunities for multinational advertisers in China. 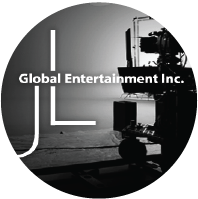 2006 – L3 Advertising launches JLG Entertainment, a production and entertainment company, to create and produce unique broadcast and digital content for clients, including the award-winning Better Living in USA TV series. 2008 – L3 Advertising’s ad, “Golden Cheese” on behalf of their Harrah’s Entertainment client, becomes the first ever multicultural advertising to win an AGA (American Gaming Association) Communications Award. 2010 – JLG launches the breakthrough health & wellness television series, “Better Body & Soul” as an informative and entertaining guide to living a happier, healthier, stress-free lifestyle, representing a major “first” for Asian marketing. Better Body & Soul provided strategic symmetry and original content integration for L3 Advertising’s client Emblem Health. 2012 – JLG launches the breakthrough documentary series “Routes” chronicling the struggles of Asian American artists.